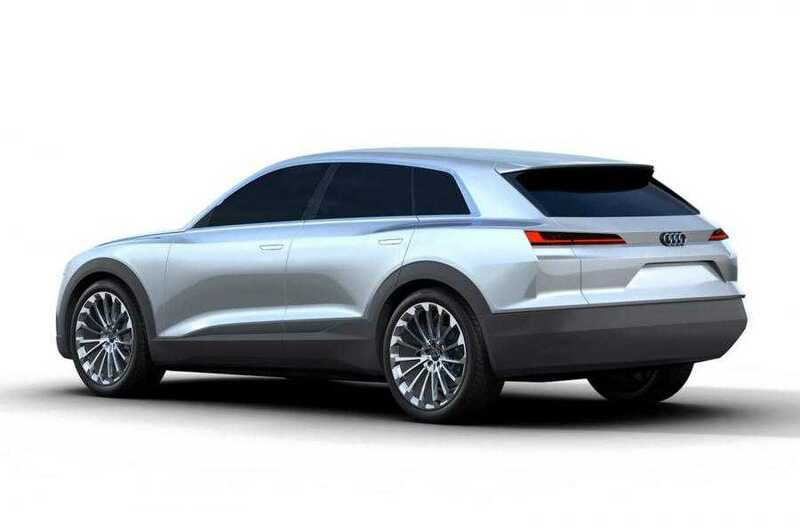 Early this year, Audi’s R&D boss Ulrich Hackenberg said that the company is developing a battery powered SUV dubbed the Audi C-Bev concept that will compete with the Tesla Model X. 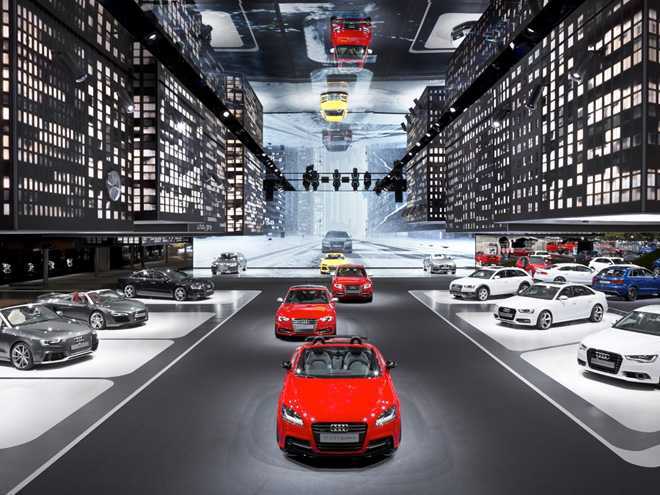 The vehicle was initially scheduled for announcement during the Frankfurt Motor Show in September this year. However, it looks like we might get the first look at the SUV ahead of the show. Several images, which are probably computer renderings of the Audi C-Bev concept have leaked online showing the design of the new vehicle by Audi. Looking at the images from a visual standpoint, the new SUV certainly looks a lot like an Audi made car. However, due to the crossover shape of the C-Bev concept, the vehicle doesn’t resemble any Audi model that the company is currently producing. Starting from the side, the concept catches the eye with its hidden door handles, prominent rooftop spoiler, low rear window and slim side windows. Lower body panels in black, chrome large wheels and bumpers similar to what Audi offers with the A4 Allroad round up the design of the SUV. On the inside, the C-Bev concept offers the same luxury as the A8, while the ride quality is on the level of the Range Rover. Under the hood, the concept vehicle will feature an electric engine. The entry model will be an electric version that can pump up to 500hp and go up to 500km with a single charge. There are reports that Audi will also offer a plug-in hybrid model later in the production cycle, as well as a hydrogen-fueled version. If Audi makes the SUV with a hydrogen fueled engine, it will be the first hydrogen crossover on the market. Regarding the release date, rumors are that Audi will start producing the electric SUV in 2017, but it will go on sale in late 2018. By that time, the Tesla Model X will already be on the market. The five-seat crossover will also battle BMW’s X6. Some of the features of the C-Bev Concept vehicle include all-wheel drive system, inductive charging system and an unconventional transmission. We still don’t know what the new transmission system will be, but Audi says there will be no traditional transmission.